Brendan is an internationally recognized environmental planning and administrative law expert. In addition to undertaking contaminated land and property related litigation, Brenda advises government and corporate clients on climate change risks and the implications of emerging government policy and legislation for a carbon constrained economy. Brendan is an Environment, Planning and Major Projects Partner with Clayton Utz and co-head of the firm’s national Climate Change and Sustainability Group. Kelvin is the Principal of Adjutus consulting a business with a focus on improving the sustainability of the legal sector. Kelvin's core discipline is in information technology and he worked in this field with law firms for over 20 years. Kelvin previously provided strategic operational support to Henry Davis York and was responsible for the firm's Information Technology Group, along with the management of its operational areas including the building premises, office services group, legal resources and catering groups. Kelvin spearheaded Henry Davis York's sustainability program. In 2008 he produced the firm's first Sustainability Report which was also the first report of its kind for an Australian law firm and one of only a handful worldwide. Kelvin's focus on sustainability also included responsibility for the firm's pro bono and community investments program. Kelvin has completed a post graduate certificate in sustainable development at the University of Cambridge as part of the university's Sustainability Leadership program and holds a Master of Business and Technology from the University of New South Wales. Mark is DLA Piper's Director of Business Infrastructure for the Asia Pacific region with responsibility for the property portfolio across the region, as well as its operational support areas including Facilities, Information Technology and Knowledge Management. Mark is a qualified Chartered Accountant having spent 11 years at one of the major international accounting firms before joining the legal partnership of Phillips Fox in Adelaide as the Chief Operating Office in 1995. Since the financial integration of the Australian and New Zealand Phillips Fox partnerships in 1999, Mark has held a variety of senior management roles through to the financial merger with DLA Piper in 2001 and his current position. Cecilia provides advice for environmental, planning and local government law matters and has extensive litigation experience in the Land and Environment Court of NSW and Supreme Court of NSW advising government and non-government clients on all aspects of planning and environmental legislation, as well as local government law and administrative law. Cecilia regularly appears as an advocate in conciliation conferences and hearings in the Land and Environment Court and has provided internal advice as a secondee to Gosford City Council. Kim is the Chief Operating Officer at McCullough Robertson and for more than ten years has implemented innovation projects and driven cultural change aligned to strategy. Before that, Kim spent 15 years as a client facing lawyer, so has a unique understanding of the challenges facing clients and lawyers, and insights into how law firms operate. Her experience as a lawyer, combined with her current responsibility for operational functions across Finance, IT, Business Development and Marketing, HR, PMO, and Risk and Knowledge Management means Kim has a unique perspective. This, and working with the firms’ practice group heads and across several sector focus groups, has given Kim a platform to recognise opportunities to develop solutions focused on improving client experience, employee engagement, financial performance and sustainable practices. Kim drives McCullough Robertson’s sustainability committee (LEAF) and is responsible for coordinating McCullough Robertson’s Community Partnerships Program. She is also a Director of the McCullough Robertson Foundation and a member of the CEO Institute. Norman is a commercial litigator with 25 years’ experience. Prior to joining Maddocks, he was a partner at a major national law firm. He undertakes complex commercial litigation and dispute resolution with a particular emphasis on corporate, property, trade practices and contractual disputes. He acts both for major corporate clients and government clients in such matters. Norman has extensive experience in all aspects of dispute resolution including litigation, arbitration, expert determination and mediation. He has also acted for clients in investigations and inquiries conducted by regulatory authorities such as ASIC, ICAC, the Australian Crime Commission and in Royal Commissions. Norman is a co-author of Ready & Responsive, a guide to Royal Commissions, Inquiries & Investigations. Norman is also Chairman of the firm’s Corporate Social Responsibility Committee and the Pro Bono Partner for the Sydney office. 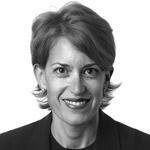 Elisa is a partner in the Melbourne office of international legal practice Norton Rose Fulbright. 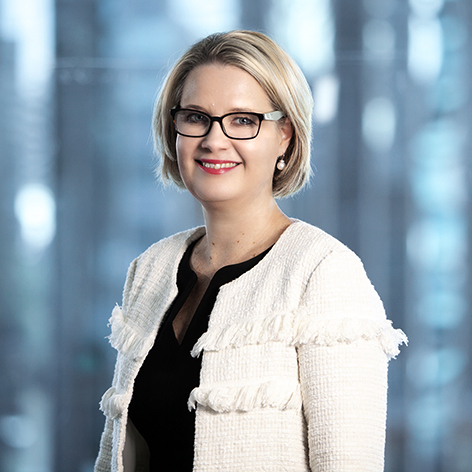 She leads the Melbourne environment practice and is national head of the firm’s climate change and sustainability practice. Elisa has over 27 years of legal experience and has practised in three Australian jurisdictions and the United Kingdom. Elisa holds a Bachelor of Laws (Hons), Bachelor of Arts, a Masters of Environmental Law and a Graduate Diploma of Legal Practice. She is a Director of the Carbon Market Institute, Grampians Wimmera Malleee Water Corporation and Beyond Zero Emissions. 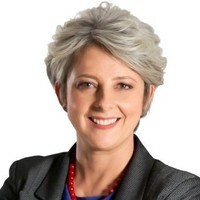 She is also a Graduate of the Australian Institute of Company Directors. Terence is the Melbourne Partner at Ernst and Young's Climate Change and Sustainability Services and holds a degree in Environmental Engineering (UWA), is a Chartered Professional Engineer and a Fellow of the Institute of Engineers Australia. Terence is an environmental and sustainability advisory and assurance specialist with over eighteen years experience in advising governments and corporations on sustainability issues. In 2005, Terence was named as one of the top 10 most influential young engineers in Australia by Engineers Australia. He is an adjunct professor at the University of Southern Queensland’s Australian Centre for Sustainable Business and Development. Terence is only one of six professionals globally to be awarded the grade of Lead Sustainability Assurance Practitioner by the International Register of Certified Auditors (IRCA) for signing off sustainability reports to the AA1000 Assurance Standard. He has signed off as an independent assurance provider on over 200 corporate sustainability and environmental reports over the past decade, including some of Australia’s largest companies. He was the youngest appointed EPA (Vic) Auditor, a role he held until 2008. Some of his early work includes authoring the National Framework for Corporate Public Environmental Reporting for the Federal Government in 1998 and advising The Body Shop in the mid 90s.